A simple knife rack to showcase your six favorite "go-to" knives. It is easy to clean and takes up a small footprint on your counter top. Available in all natural or with colored interior. Color options will change seasonally. Please contact us for more information. Made from certified sustainable euro-ply and finished by hand. 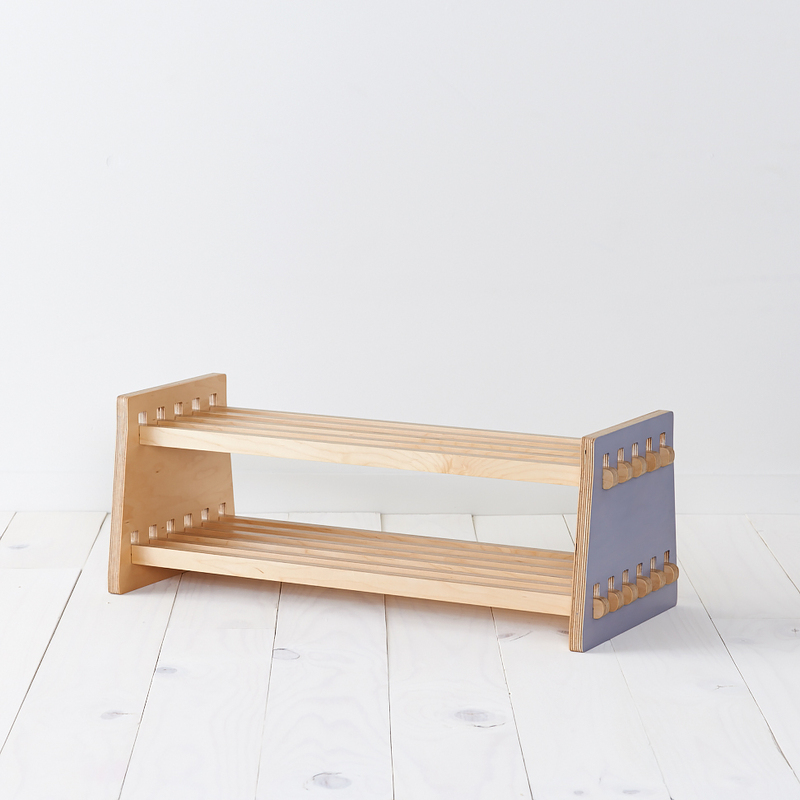 Sturdy but sleek, this shoe rack will help keep your entryway looking organized while giving it a pop of color. Fits 6 pairs of adult size shoes. Made from certified sustainable euro-ply and finished by hand. Ships flat; simple assembly required. This wall mounted headboard mixes a modern aesthetic with the comfort of a tufted headboard. Currently headboards are made to order and are sized fit King, Queen/Full, Twin. Frame is made from certified sustainable euro-ply and wall mounts with a simple cleat. Ships flat; simple assembly required. Contemporary yet versatile, Pangaea is our modern approach to the standard coffee table. It's a statement piece that won't overwhelm the room. 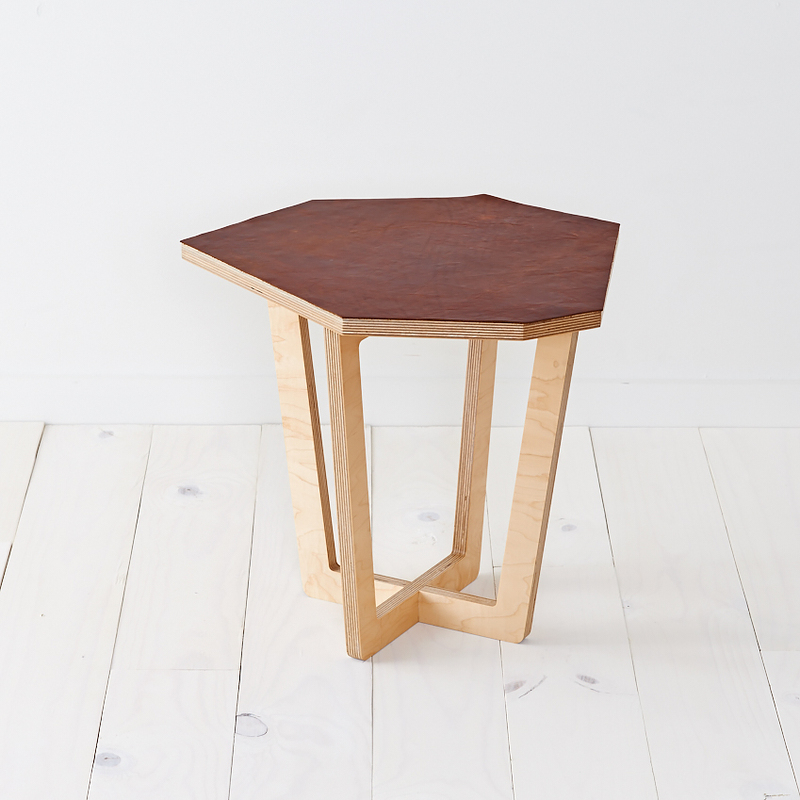 This accent table can be put to work as a bed side table, or in your living room. 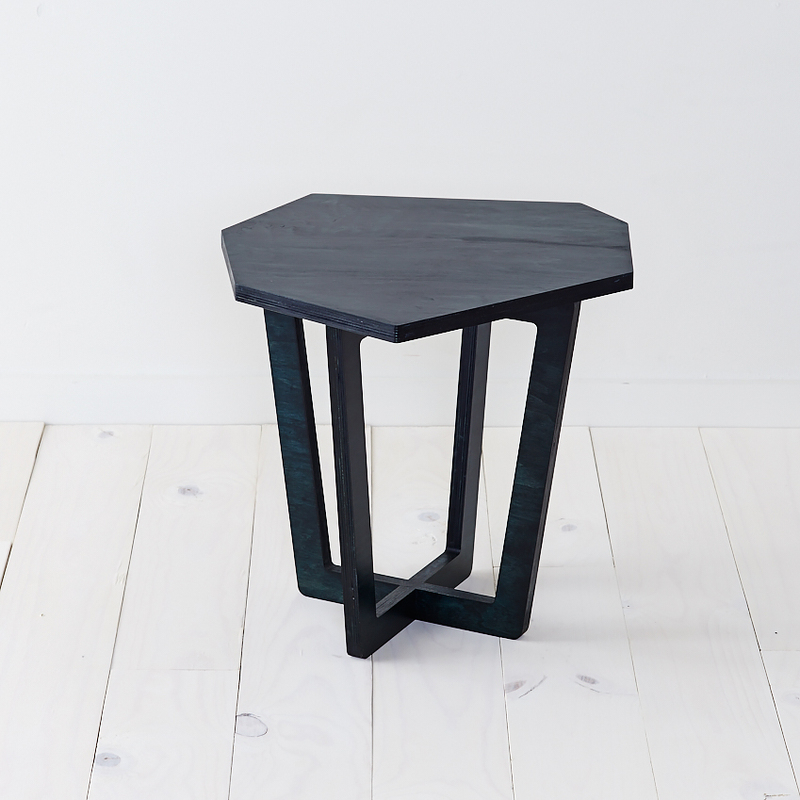 Team with sister side table Atlantica, or combine with Pangaea coffee table for a modular feel. * Leather overlays are a heavy 1/16 of an inch thick and treated to be water resistant. The more you use it the better it looks. 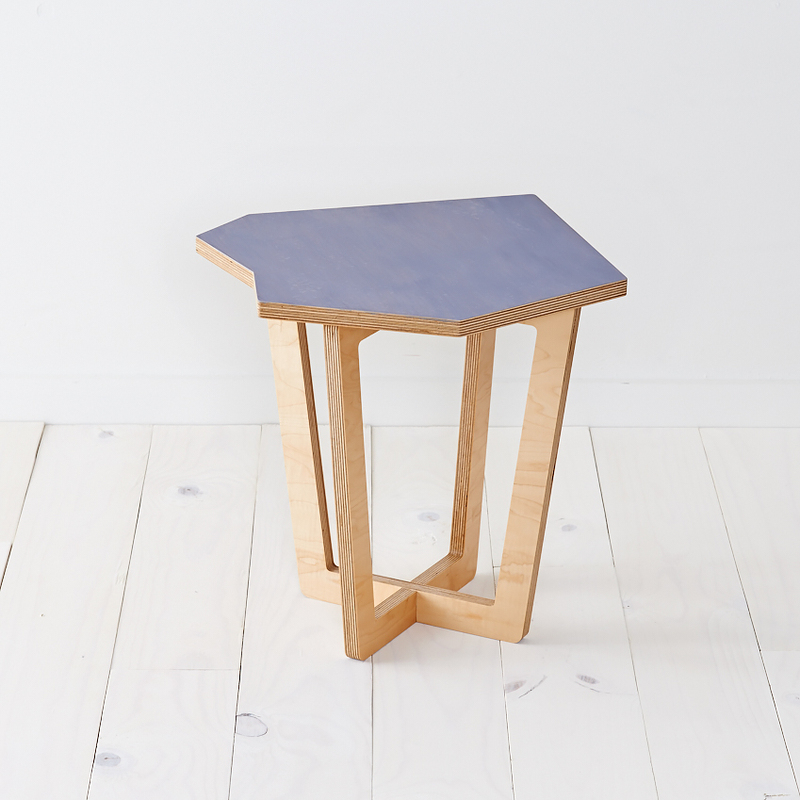 This accent table can be put to work as a bed side table, or in your living room. 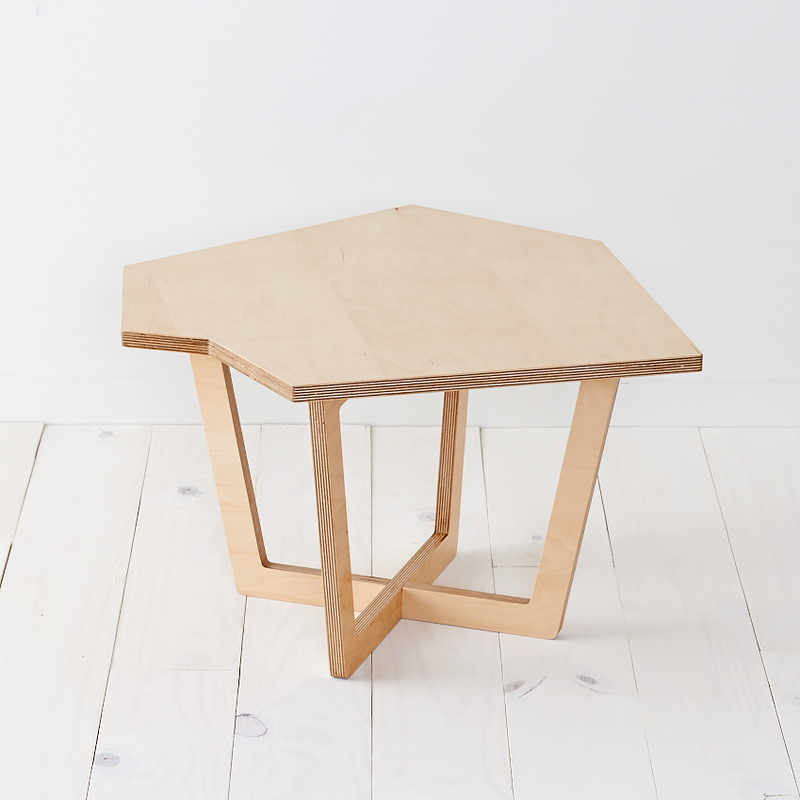 Team with sister side table Baltica, or combine with Pangaea coffee table for a modular feel.